Over time the seals around your vehicle's doors and windows will break down and need to be replaced. When should these seals be replaced? They should be replaced as soon as you see the tell-tale signs of breakdown on the rubber itself. As water eats away at your seals and the seal pulls away from its original position, the frame of your vehicle becomes susceptible to the same water infiltration that is eating away at the seal. Over time this water infiltration will lead to rust and corrosion on the vehicle frame. Once rust or corrosion takes hold, replacing the window seals will only stop the progression. The only thing that can be done with the frame damage is to grind out and replace the corroded, rusted metal. As soon as you see the start of seal breakdown around your vehicle's doors and windows, call Pete's Auto Glass at (800) 607-3837. We can troubleshoot your leak to find the source and replace only the damaged seals or completely reseal your vehicle to ensure leak-free driving for years to come. 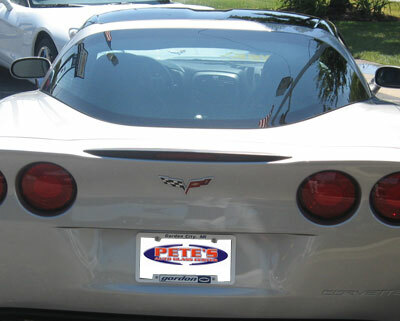 When your glass breaks, chips, or cracks, call the professionals at Pete's Auto Glass. The same leak that is causing damage to your frame will also affect the interior parts of your vehicle's doors. Water leaks around your windows can cause problems in your window regulator and motor such as electrical shorts and failures due to rust. When rust eats away at your regulator, the window may not be able to set properly in the slide intended to raise and lower the window. This can cause the glass to slide around as you operate the window or can cause complete operation failure if the window slides off the guide or the guide rusts away completely. 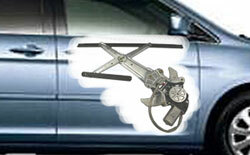 Pete's Auto Glass offers repair and replacement services for window regulators as well as door motor replacements. When you visit Pete's Auto Glass to repair your window leak, you may want us to look over your door motor and window regulator as well. It could be that your regulator and motor were not affected by the leak. However, while we are working on your door to replace the seal, it is a good idea to have us check the regulator and motor just to be sure.